Nothing assures the profitability of any business than repeat customers. They are the lifeline of any industry. But with so many businesses today, each sporting the most brilliant of marketing strategies, how can your small company stand out and win the hearts of these customers? Do you think that promotional products like personalized book matches are outdated? Do you think that people no longer pay attention to these items? Not quite. On the contrary, the use of custom book matches and similar promotional products are still the go-to marketing strategy of some of the most successful names in the world of business. Think of pens, scratchpads, coasters, tissues and a host of other freebies. Why are custom book matches still favored by business owners? How can custom book matches encourage repeat business? Promotional products like custom book matches are handy, economical and useful. Imagine a group of employees who decide to give their boss an impromptu birthday celebration by giving him a delicious chocolate cake, complete with a few candles to mark his age. Just before they sing “Happy Birthday” to their boss, one of the employees suddenly remembers that they don’t have anything to light the cake’s candle with. Just when they were about to panic, another employee remembers keeping a box of custom book matches in his drawer. He got it as a freebie from your store and kept it in his drawer for emergencies. And that emergency has surfaced. A real lifesaver, don’t you think? Of course, his co-workers will praise him for his readiness. Then he’ll put the custom book matches with your company’s name and logo out for everyone to see. Imagine that kind of exposure which you got? 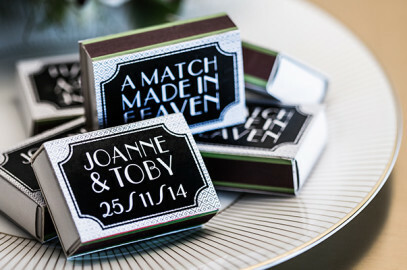 And since your promotional item saved the day, that customer and his co-workers will take a long look at your custom matchbook, creating an image in their memory. So once they need any of your products or services, it is your company’s name that they can immediately recall. That spells new and repeat business transactions for you. Yes, your business needs to cut costs. You put lights off when natural light is at its peak, limit printing of documents and so on. Even marketing strategies can be cost-effective, too. Instead of advertising on TV and radio, why not give custom book matches away? That would incredibly slash your marketing expenses! Not to mention that custom book matches are – less than twenty cents apiece if you buy them in bulk. Twenty cents for your brand’s repeated brand exposure and repeat business is way too economical for a small business owner like you.